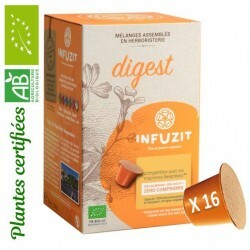 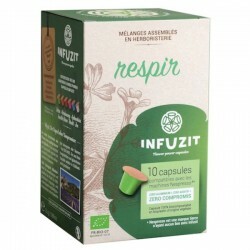 Infuzit Respir compatible Nespresso ® capsules. This active herbal tea consists of a mixture of respiratory plants prepared in herbal medicine. 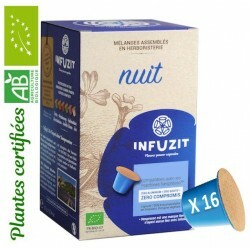 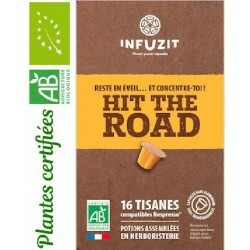 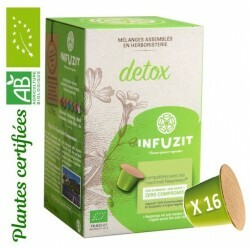 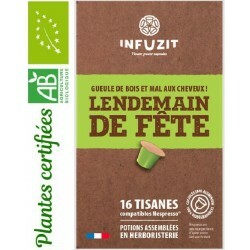 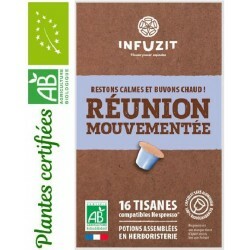 This Infuzit herbal tea consists of organic plants: eucalyptus globulus, thyme, white broth, mint nanah.